I started out 30 years ago as an English teacher, and now when I watch kids go off to university, I think about what I would have done if I had a second chance. I think I would have chosen journalism, to be honest, and I would love to imagine I might have made it as a Arts Reviewer. Sigh. Since I am doing that, as a thing I feel passionate about, while also being able to work with young people in school libraries, I can hardly complain now, can I? Lynne first qualified as a biochemist and microbiologist before changing careers to become a teacher librarian. She has worked in the primary, secondary and tertiary education sectors and has taught in both boys’ and girls’ schools in Sydney and Canberra. Lynne has been writing and reviewing in the field of children’s literature for over thirty years, in journals such as Reading Time, Magpies and The Literature Base. She has a particular interest in non-fiction and co-authored Good Science Books for Children on the Academy of Science website. She has been actively involved in The Children’s Book Council of Australia since the 1980s, including four terms on the judging panel for the Book of the Year Awards and as treasurer and vice-president of the ACT branch. She has also acted as a judge for the ACT Literature Awards. Katie Bingham is a mother of two, passionate writer and primary school teacher. As an ex-professional dancer, she performs regularly and writes musicals for kids under the label of Cheeky Possum Kids’ Musicals. She is currently working on developing several books and professional texts. Reviewing for CBCA is both an honour and a great excuse for spending more time reading. Kevin Brophy teaches creative writing at the University of Melbourne. He is the author of fifteen books of poetry, fiction and essays. In 2009 he was a winner of the Calibre Prize for an outstanding essay. His latest book, This is What Gives Us Time, was published by Gloria SMH Press in 2016. Verushka Byrow is a book blogger and editor, with a Bachelor of Media and Communications from Macquarie University. She has worked in publishing for over a decade, and now can be found reviewing books here on Reading Time, or on her book blog. Mem Capp is a Melbourne artist, writer and mother of four with a particular interest in children’s literature and poetry. She currently reviews for a number of children’s literary magazines and is a Visual Arts Reviewer for the online arts portal ‘artsHub’. I am an omnivorous reader with more than thirteen years as a children’s specialist bookseller. During my professional career, I acted as the consultant and liaison to many schools and libraries, and was proud to be invited to speak at several Professional Development sessions for the Centre for Youth Literature as a specialist in children’s fantasy and science fiction. These days, I am honing my skills on a more specific audience, and having fun introducing my two sons to the big, wide world of literature and stories. It warms my heart every time we have to arm wrestle to decide who gets to read a book first (they’re fast and determined, but I’m older and more devious). Amy is 15 years old and in Year Eleven on the Gold Coast. A lover of anything fantasy and epic, she jumped at the opportunity to review for Reading Time and add to her eternally growing collection of books. Favorite authors include (but are most certainly not limited to!) Sarah J. Maas, Juliet Marillier, and Cassandra Clare. In her spare time, she reads, swims at the beach near her home, and listens to musical soundtracks nonstop in her hammock (often whilst reading as well!). Reviewing for Reading Time has been a great way to expand the horizons of her bookshelves. Liz has worked as a teacher and teacher librarian in New South Wales and Queensland across all ages and as a Young People’s Librarian in a large public library service. She has authored children’s literature courses for undergraduate and postgraduate university study and has taught various courses. Liz was the Queensland judge for the Children’s Book Council of Australia Book of the Year Awards in 2007 and 2008. She has two Masters degrees: Master of Education (Teacher Librarianship) and Master of Arts (Children’s Literature), and a Graduate Certificate in Editing and Publishing. Liz currently works in an all boys’ school. Her interests include picture books, YA literature and boys and reading. Elizabeth Douglas obtained her MA in English at the University of Melbourne. She then worked for Oxford University Press as an editor in Melbourne and London for six years, before returning to set up the local publishing program for Hutchinson Aust. Pty Ltd. This included a strong list of children’s books with some outstanding writers and illustrators. After 20 years she moved to the University of Melbourne where she had a second career as an administrator. Now retired, she works as a voluntary guide at the National Gallery of Victoria, the Asylum Seekers Resource Centre, and a local primary school where she is involved with the children’s reading programs. Wendy Fitzgerald has been married for over 30 years and has 2 grown up kids. She’s a teacher with a Graduate Diploma in Primary Music and a Master of Arts in Children’s Literature and Literacy. Wendy is currently the proud president of the CBCA NSW Branch Inc. Northern Sydney Sub-branch. She teaches creative writing workshops for kids at Ku-ring-gai Art Centre in Roseville and is a tutor for the Sydney Story Factory. Heather is an award winning children’s author and journalist. Her books for children include Ferret on the Loose (2013) and Happy Pants – Why is mummy so sad? (2014). The latter was recognised as a recommended title in the Australian Family Therapists literature awards, 2015. Her writing for children has also appeared in Pearson Education’s Explore and Challenge magazines and The Sunday Age. She has worked for many years as a journalist with her work appearing in The Age, The Big Issue and the Victorian Writer. Katy Gerner is a writer, teacher and avid reader. She has written 12 text books, co-written one for Macmillan and writes book reviews for Reading Matters, Insights, Viewpoint and Eremos. She also works in TAFE as a disability support teacher and an ESL teacher. Penny Harrison is a children’s author, book reviewer, journalist and photographer. For almost 20 years, she has been writing for magazines and newspapers, covering everything from gardening, wellbeing and sustainable living to art & design, interiors and books. Her first children’s picture book, Dance with Me, was released in October 2016, through EK Books, and her second is due out early in 2018. Penny lives on the outskirts of Melbourne, by the Yarra River, with her husband and two young children, and an ever-growing menagerie of dogs, cats, chickens and bunnies. More information can be found on her website : www.pennyharrison.com.au. Pam Harvey works in medical education at Monash University. She is currently a part-time creative PhD candidate at the University of Canberra. Prior to her current employment, she worked in TAFE teaching various subjects of the Diploma of Professional Writing and Editing. She is the author of 15 children’s books, as well as many freelance articles. Pam is currently a local district representative for The Children’s Book Council of Australia (Victorian branch), a member of the Australian Society of Authors (ASA) and the Society of Children’s Book Writers and Illustrators (SCBWI). Margot Hillel has wide involvement in the field of children’s and young adult literature. She has been National President of the CBCA and President of the Australasian Children’s Literature Association for Research. Her research interests focus on constructions of childhood in children’s literature, and the history of children’s literature. She is on the editorial boards of a number of international journals, reviews widely, has published extensively in her field and has an OAM for services to children’s literature. Lisa Hoad is currently bringing up her two avid child readers in a leafy suburb of Melbourne, but before moving there she was a primary deputy head teacher in Camden, London. With over twelve years experience as a literacy leader she was heavily involved in raising reading and writing standards across her local borough, achieved in part by encouraging a return to planning from high quality texts and picture books. A skill, she felt had become lost in many inner city, results driven classrooms. She adores picture books, not just as an educational vehicle but also a precious story telling medium that can help children to make sense of the world. She was lucky enough to study children’s literature as part of her English degree and has been passionately reading and reviewing ever since. Rebecca Kemble is a librarian at the Australian National University Library. She is the former Administrative Assistant at the Lu Rees Archives, is currently on the LRA Management Sub-Committee, and was the President of the ACT Branch of the CBCA from 2007-2011. As well as reviewing for Reading Time, Rebecca also reviews for Magpies magazine. Rachel Le Rossignol/Rachel Nightingale decided to become a writer at the age of eight, inspired by the many wonderful stories and authors she read avidly. Her passion for children’s literature has continued throughout her life and been rekindled by becoming a parent. Favourite authors include Diana Wynne Jones, Susan Cooper and Jane Yolen and her favourite character for younger children is Fancy Nancy. Rachel is the author of Harlequin’s Riddle, the first book in a fantasy trilogy published by Odyssey Books, and also, rather unexpectedly, an award winning playwright. At some point she managed to complete a Masters degree and a PhD in Creative Writing, as well as qualifications in editing, despite numerous attacks of Real Life, and now works as an editor and writer full time. She is currently writing the third book in The Tales of Tarya, a fantasy trilogy about the true power of creativity and diving into the pool of wonderful YA and children’s books by Australian writers. Kristyn M. Levis is a freelance writer, author and photographer with over 13 years experience. She worked as a TV reporter in the Philippines and a radio broadcaster with SBS in Sydney, where she still occasionally does voice-overs. She also has experience as a journalist, sub editor and editor for various print and online media, including such titles as Madison, Your Garden, Dolly, House and Garden, CNet, APC, Practical Parenting and more. Several of her stories have landed in the New York Times and Al Jazeera. She self-published two children’s picture books in the last three years. Her young adult novel The Girl Between Two Worlds was published by Anvil Publishing. She is currently working on book two. I have been involved in children’s literature all my working life, either as an editor, teacher, teacher-librarian, CBCA judge and now reviewer. I cannot imagine a time when I am not reading something new and exciting or an old favourite. I am one of those people who rereads often. Currently I am interested in looking at the differences and similarities of children’s literature around the world and considering how Australian stories compare. Carissa Mason devoured books as a child, scouring op shops on the weekend for vintage copies of Trixie Belden, Nancy Drew, The Famous Five and anything else by Enid Blyton. When she was naughty, her mother would send her to her room, where she’d happily read all day. Carissa imagined she’d grow up to edit books – so she could be the first to read them – but ended up sharing people’s stories as a journalist, then political press secretary instead. Now she’s raising three readers of her own, delighting in watching them move from illustrated stories to chapter books and discovering with them all the wonderful books that have been written since she grew up. Carissa is active within the children’s book community on Instagram and occasionally blogs. Raquel is a mum of 2 boys, a kindergarten teacher and a hoarder of children’s books. Growing up in country Victoria, the books she read as a child filled her imagination with wonder and excitement. Now living in the hustle and bustle of Melbourne, her life is full of new experiences, people, places and opportunities. Raquel jumped at the chance to join Reading Time as a reviewer as it was an excuse to read more – and add to her collection of children’s books. Renee trained as a secondary school teacher but fell into the world of corporate training instead. Despite this twist of fate, her heart lies, and always will, with children’s literature. Her shelves are lined with tattered Roald Dahl’s, Famous Five’s, Trixie Belden’s, Judy Blume’s and a pristine set of the series Tomorrow When the War Began, that no one is allowed to touch. She also lends out her copies of When You Reach Me, Courage for Beginners and Everything is Changed to anyone who seems remotely interested in reading. She reviews for the NSW Writer’s Centre and also on her own website reneemihulka.com. An aspiring writer of middle grade fiction, Renee hopes that some day soon, one of her own books will have the privilege of being reviewed on Reading Time. Fiona Miller-Stevens is a voracious reader, writer, small child wrangler, senior English teacher and Assistant Principal. She writes for her blog A Novel Indulgence and for The Print Posse. She runs a book club for teenagers called the YA Café – a glorious excuse to talk books and eat cake. Katie Mineeff is a mother of four, primary school teacher and author of young adult fiction. She has two wall-to-ceiling book shelves in her house to support her reading habit, yet still manages to have overflow piles scattered around. She loves children’s literature in all its forms and especially enjoys reading aloud to her students and children. Reviewing for Reading Time has introduced her to new and exciting additions to children’s literature in Australia. I always thought I would be a famous artist. However, after some years of studying art and design, followed by a few more years of teaching art, something called Survival (or lack of) became apparent. So, with much enthusiasm and two encouraging teenage children to push me along, I went back to University to gain a post-graduate degree in Arts Management and, some years later, Creative Writing. Then, about 10 years ago, I made the decision to leave my city life and professional career to explore other possibilities. I’m a member of Shoalhaven’s Kitchen Table Poets, a contributor to ABC Open’s on-line 500 Word Stories Project and work with local school children in the volunteer reading program. If I am not in the garden, I can be found with my head in a book – sometimes by myself and often surrounded by children. I still believe that I will eventually make time to write. Julie Murphy is a children’s author, trained zoologist and zookeeper. Her work often features animals and nature, and ranges from fiction and non-fiction picture books, to short stories, articles and poetry. www.juliemurphybooks.com Julie loves picture books in particular, and greets Reading Time book packages at her doorstep with all the abandon of a kid on Christmas morning. Grace Nolan is an English teacher who has taught extensively at both primary and secondary levels for over 30 years. She holds a Graduate Diploma of Education in Children’s Literature and with her husband has established “The Nolan Historical Children’s Literature Research Collection” at the Australian Catholic University. Grace loves reading, writing and composing and has also enjoyed working as a singer and children’s entertainer, but her passion has always been children’s literature. John Nolan is an English and Literature teacher with over 30 years experience. He completed a Graduate Diploma of Education (Children’s Literature) in 1996 and Master of Philosophy in 2001. In recent times, John and his wife have been working with The Australian Catholic University library in Melbourne to establish the “The Nolan Historic Children’s Literature Research Collection”. After ten years as a classroom teacher and assistant principal, Kay realised where her heart truly lay, and made the transition to library land. After working for several years managing a primary school library, she leapt into the head office of Brisbane Catholic Education, first as Education Officer: Digital Learning, and then as Librarian for the system. She has now returned to full time study, and is thrilled to be learning and reading all day every day! While completing her PhD, exploring teacher professional learning through social media, she works part time as a sessional academic and loves the opportunity to stay in touch with the world of children’s literature through reviewing titles for Reading Time. Kay keeps herself amused in her free (!!) time on Twitter and Reddit, reading incessantly and hanging out with her partner, two teenage stepchildren, a lazy Whippet called Earl and a crazy Jack Russell puppy, Ruby. Maura is an author and playwright who hails from New York but has called Canberra home for over 25 years. Her first picture book, The Trouble in Tune Town, launched in May 2018 at the National Library of Australia, has received international accolades and is already in its second print run. Last year she was named winner of the CBCA NSW’s Aspiring Writers Mentorship Program, and recipient of the Charlotte Waring Barton Award, for her young adult manuscript, Freefalling. Prior to writing, Maura worked in journalism, marketing and small business and earned her doctorate in philosophy (ethics). 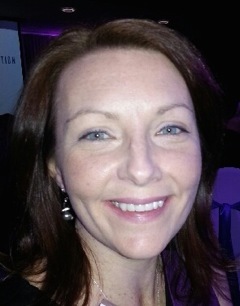 Sharon Seymour has a Masters in Writing and Literature and has enjoyed being a Reading Time reviewer for over a decade. She finds it a thrill to receive her Reading Time review books and feels honoured to have reviewed books by some of Australia’s best authors as well as new talent. She works as a Teacher/Librarian, combining her passion for teaching children with her passion for children’s literature. Romi Sharp taught in a range of roles in early childhood and primary school settings for almost 10 years before becoming a mum, writer and avid participant in the world of children’s literature. Her reviews appear in several literary publications, and she very much enjoys reviewing for Reading Time. Romi is also the founder of the Australian online support group for writers and illustrators; Just Write For Kids. Sharon Smith is currently the Children’s and Youth Services Librarian for the Riverina Regional Library, developing and presenting literacy programs for the community members of 13 local government areas. Sharon is experienced in public, school and medical library work, with a few stints as a receptionist and waitress. She is a passionate advocate for literacy and encourages reading for all ages. She is an avid reader herself, especially of dystopian youth fiction. I have worked as a Teacher Librarian and Children’s Librarian. In the Teacher Librarian positions I saw how important leisure reading is for consolidating a child’s reading skills and improving their literacy. To select literature for the school library that the kids would enjoy, I needed to get to know popular children’s literature well – an aspect of the job that I thoroughly enjoyed. I have carried this love of children’s literature into more recent roles as Children’s Librarian in public libraries and I get much satisfaction from introducing kids to a new author or series that they enjoy. Reviewing books for Reading Time gives me an opportunity to share my enthusiasm for children’s literature and help readers find the perfect book for them. Marita is a high school teacher librarian and formerly worked as an English teacher and then in public libraries, before finding the dream job. She has been running a year 7 and 8 book group for five years and still smiles at the amazing things boys have to say about books, and how much some of them can eat in an hour. One of those children who read constantly day and night, it probably was inevitable that I would grow up to be a librarian. Thirty-odd years later, after working in school, TAFE and university libraries, I manage a special library dedicated to the education of children with sensory impairments. When not book-wrangling, I teach a creative writing course at a community college, edit a poetry journal and scribble short stories. Debra’s obsession with picture books could be labelled eccentric: as a thirteen year old she requested the complete collection of Beatrix Potter for her birthday; as a social worker she went on to complete an MA in Children’s Literature. She is now the author of her very own picture book, When I See Grandma, reviewer for both Reading Time and Creative Kids Tales, blogger for Just Write For Kids, and committee member on her local CBCA sub-branch. After 15 years of writing press releases, executive documents and technical content for companies in Europe and the U.S. (her homeland), Stephanie decided to focus on writing something she wants to read, namely stories for children. Since moving to Australia in 2012, Stephanie has immersed herself in the vibrant NSW writing community. She is an active participant in the local SCBWI branch, NSW Writers’ Centre and CBCA’s Reading Time. In addition, she’s a casual reviewer for BuzzWords and UK-based TripFiction. Lian Beveridge is an independent scholar based in Melbourne, Australia. Her research interests include queer theory and picture book theory. She has a special affection for baby books and pop-ups. She volunteers in open access education programs which offer free University level classes for refugees and for low income and homeless adults. When Elspeth Cameron first wrote reviews, by hand, she had to find friends to type them. She was then a Teacher Librarian in south west Queensland and has continued in varying educational roles. She is now a part time artist and editor/proof reader. Sue (Susan) Clancy has spent over 40 years as primary and tertiary educator, specializing in literacy education and children’s literature. Her particular interests are in multiple readings of picture books along with traditional and folk tales and their transition into contemporary media formats and cultural contexts. Sadly Jo Goodman passed away on 24 July 2014. Jo Goodman was always an avid reader. As a retired teacher librarian she had a passion for children’s literature, and was an active member of the CBCA for many years. She always said that her most exciting experience with books was as judge for the CBCA Awards. John McKenzie is a leading academic in the field of children’s literature in New Zealand. He is a senior lecturer at the University of Canterbury School of Teacher Education and has taught courses on the picture book; myth, legend and folktale; poetry; the Victorian period; storytelling and performance, literature and the curriculum, book selection, early childhood and children’s responses to literature and aspects of the Moving Image. Katie Poidomani is passionate about passing on her love of reading to children (including her four young boys). When she was eight Katie remembers reading I am David by Anne Holm and since then has been an avid reader. She has a BA in History and English Literature and works as a freelance academic editor. Sadly Maurice Saxby passed away on 30 November 2014. As a lecturer Maurice instituted courses in Children’s Literature, both at the undergraduate and post-graduate levels. He has lectured and presented papers in this area extensively in Australia as well as in Great Britain, the USA, Germany, Japan and Germany. Whilst on study leave he spent three months doing research at the Internationalen Jugendbibliothek in Munich and served twice as a juror for the Hans Christian Andersen awards. In his second term both the HCA medals for writing and for illustration went to Australia, the first time both awards went to the same country. He has also served twice as judge for the CBCA awards. Kevin Steinberger is a teacher-librarian with over 25 years experience as a children’s book reviewer and critic. He has contributed to several books on children’s literature and has published many articles on aspects of children’s books. He has also served two terms as the Queensland judge for the CBCA awards. Tessa Wooldridge has worked as a primary school teacher and a librarian, and has an MA (Writing) from the University of New England. Her many years as an indexer of Australian literature with the AustLit database kept her in touch with developments in children’s and YA writing long after her own children had grown up. 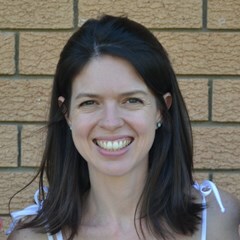 Tessa continues to read, review, tweet and blog about Australian children’s and YA books at https://tessawooldridge.com. She has been a member of the ACT Branch of the CBCA since 2012.